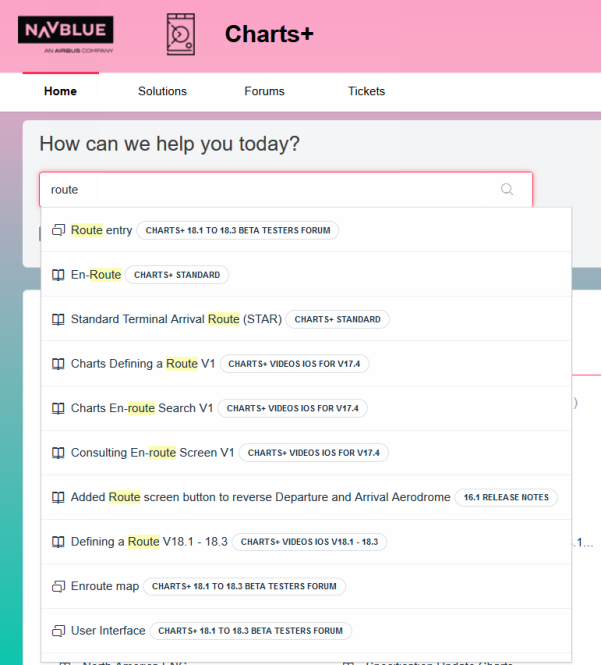 This article shows you how the search feature works within the NAVBLUE product support portals. We estimate that this will take 3 minutes to complete. 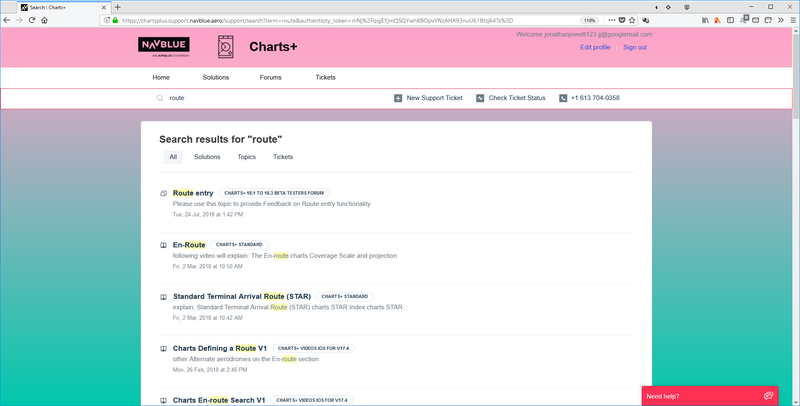 All of the product support portals have search functionality within them and this works in the same way for every portal. 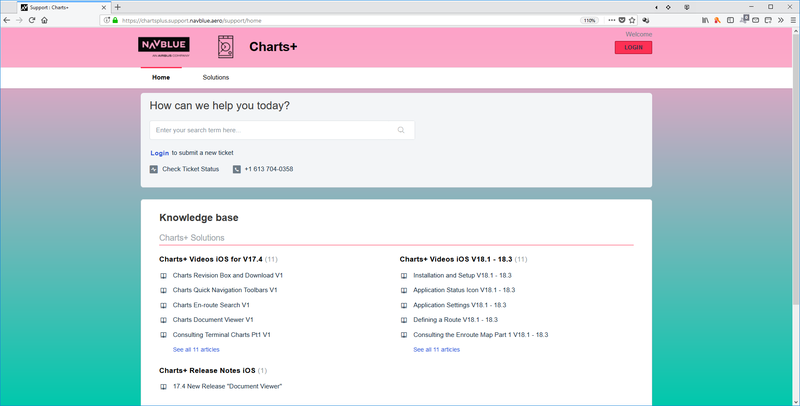 In this article we will use the Charts+ product support portal for demonstration purposes. Although searching is very simple, there are some methods you can use that we will explain in this article that help you to get to the results you are looking for quickly and easily. 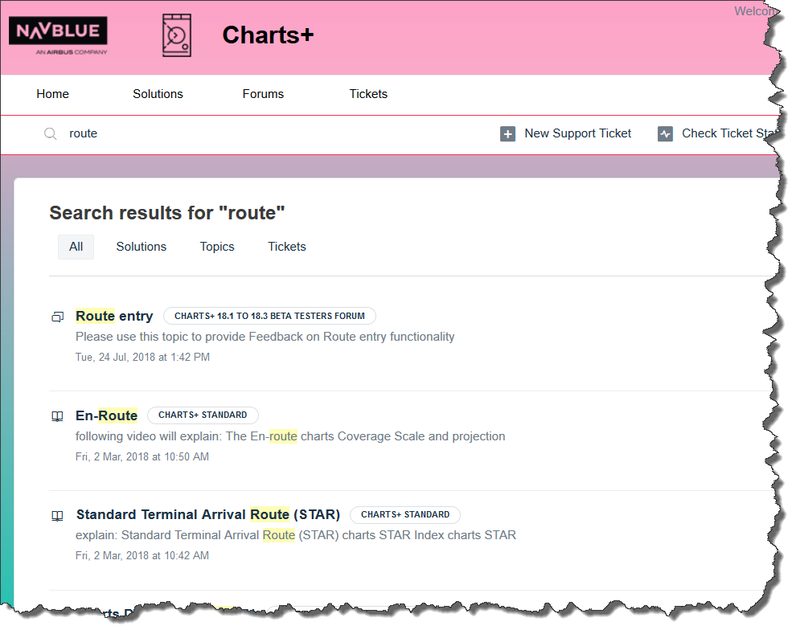 Let's imagine that we are looking for help on the Charts+ product and that we need help on route planning.Our keyword that we will use when searching is "route". 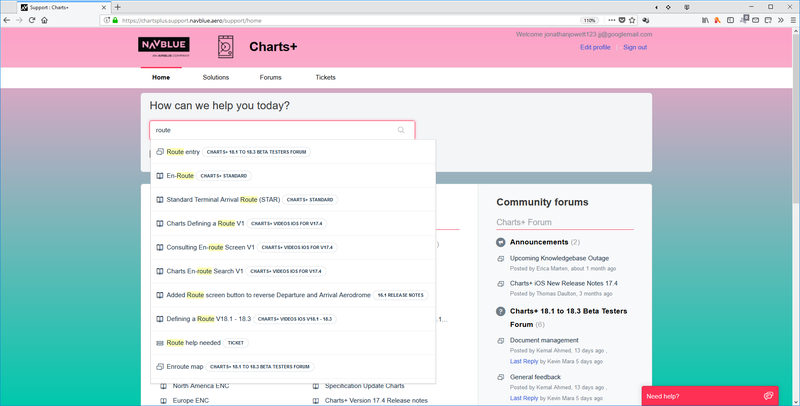 We have navigated to the Charts+ support portal, but please notice that we are not logged in as an authorised user yet. This means that the content we can see and the content we are search on will be restricted to only that content which is classified as being for public use. You can tell that you are not logged in as there is no welcome message to the top right hand side of the screen. Click the Enter your search term here... input field. Enter route into the Enter your search term here... field. 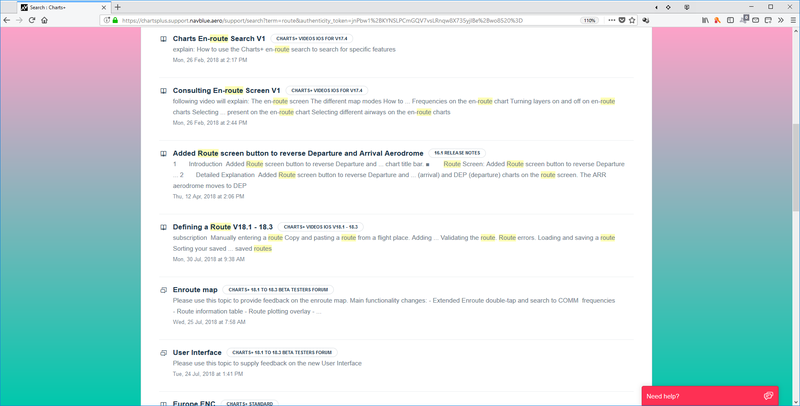 The search results are restricted to publicly available content. Clicking on any of the search results will take you to the relevant content. Notice that there is an icon like this next to each of the search results? This indicates that the result is classified as a solution from the knowledge base. 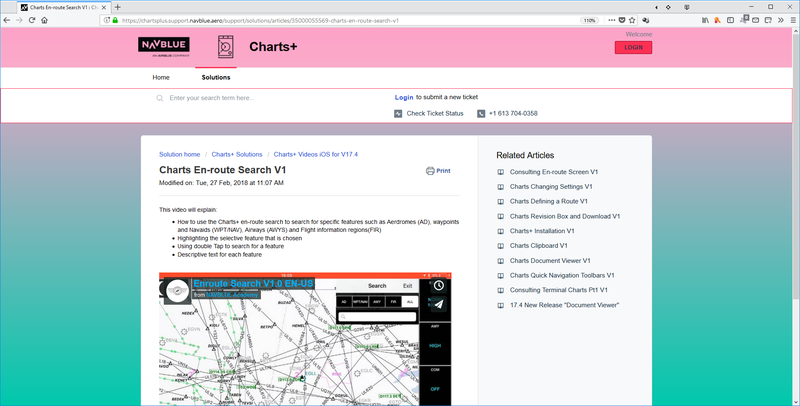 Click the Charts En-route Search V1 hyperlink. The solution is now shown to you. Let's repeat this, but do it after logging in so we have access to more search results. 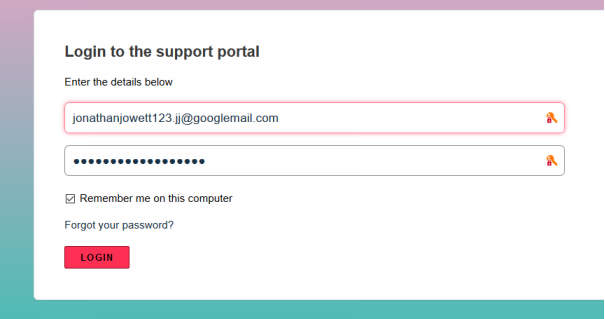 You would normally fill in your username and password next, but for the purposes of this demonstration we have filled them in already. 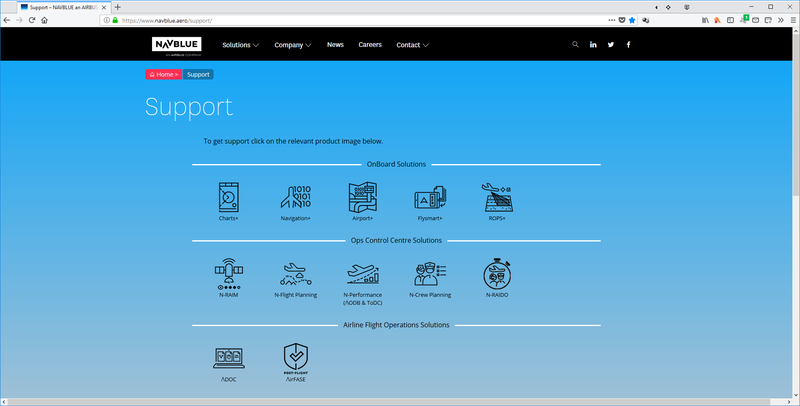 If you do not have a username and password, but would like one, or you have colleagues that need one, then please contact NAVBLUE Support using the email address support@navblue.aero and request access. Lets repeat the same search now that we are logged in. You don't HAVE to press enter whilst searching. 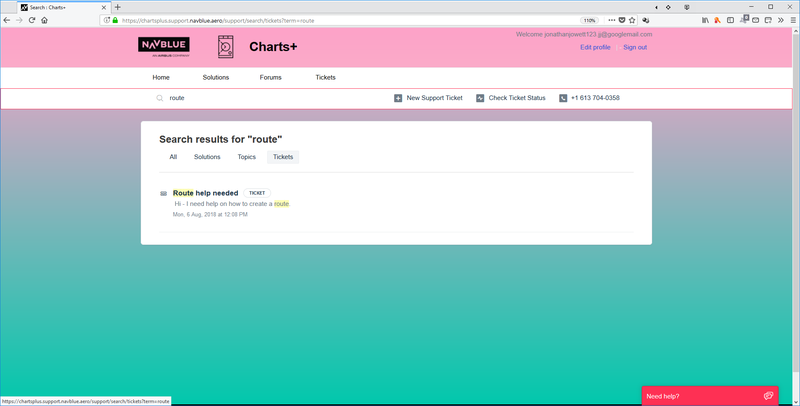 Results are listed before then and you can click on them to go to the result. 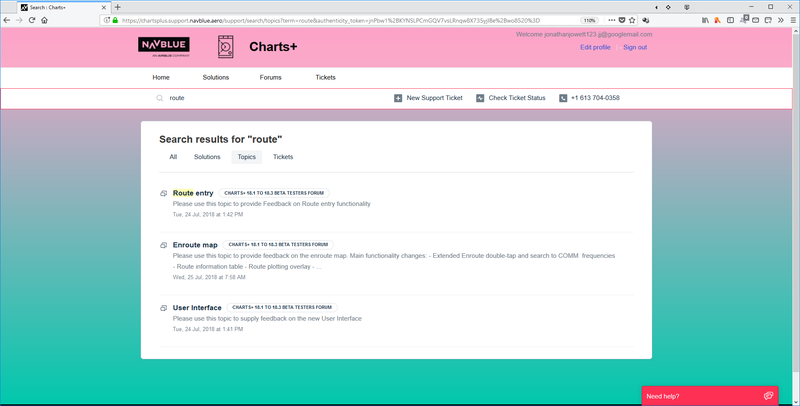 Notice as well that there are now icons being shown in the results that look like this . 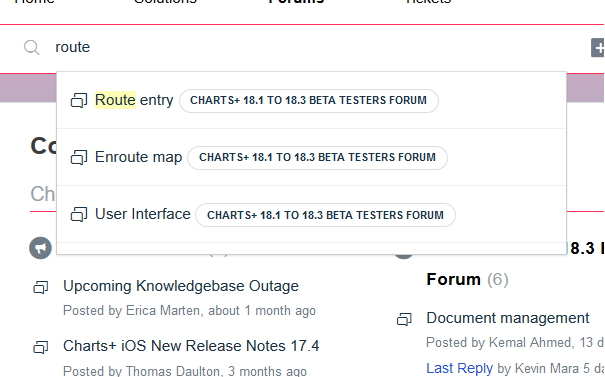 This indicates that the results are coming from the forum area of the support portal. All results in all categories are now listed. 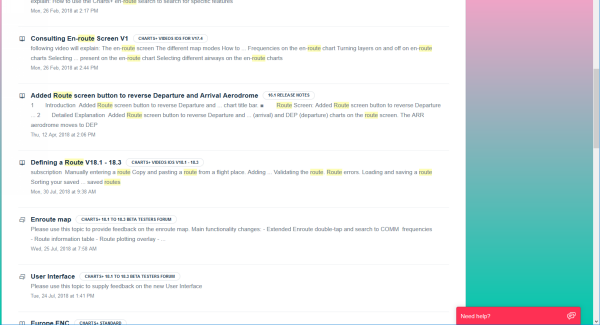 You know that it is "all results" as the "All" tab is highlighted. Let's scroll down to review the results. Results in the "all" category often go over more than one page. 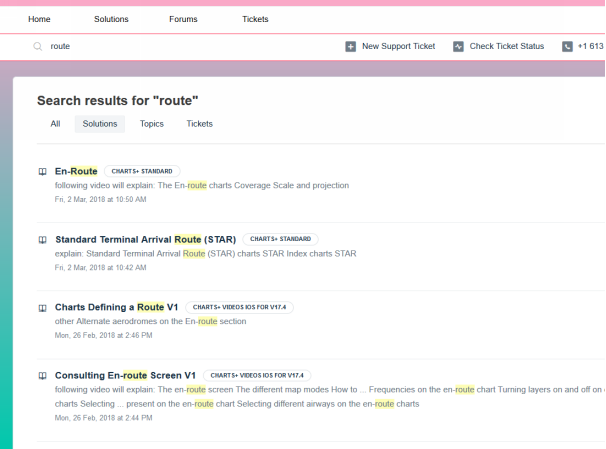 Notice how the word that we searched on ("route") is highlighted in the search results in yellow? This includes the word "Route" with a capital "R" as well. This indicates the folder name that the article resides within. 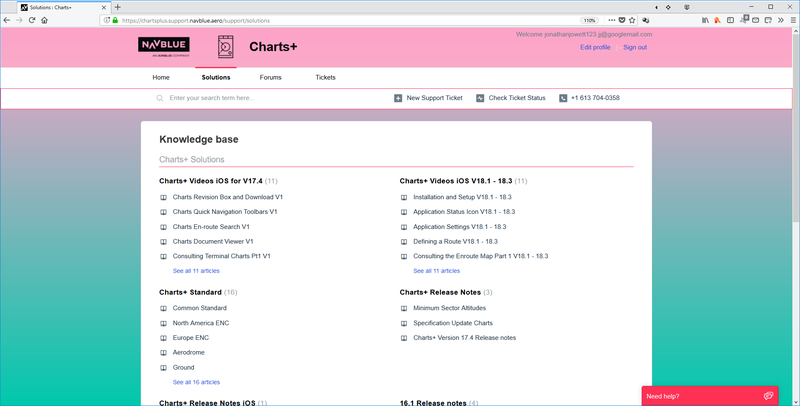 In this case, the search result relates to the Charts+ 16.1 Release Notes. Now that we have seen all of the results, lets go back up to the top of the page again. Click the Page Up vertical scrollbar. As there are a lot of search result, it can be useful to filter them by category. Let's turn on the filter to only show search results from the "Solutions" category. The results list has now been filtered. 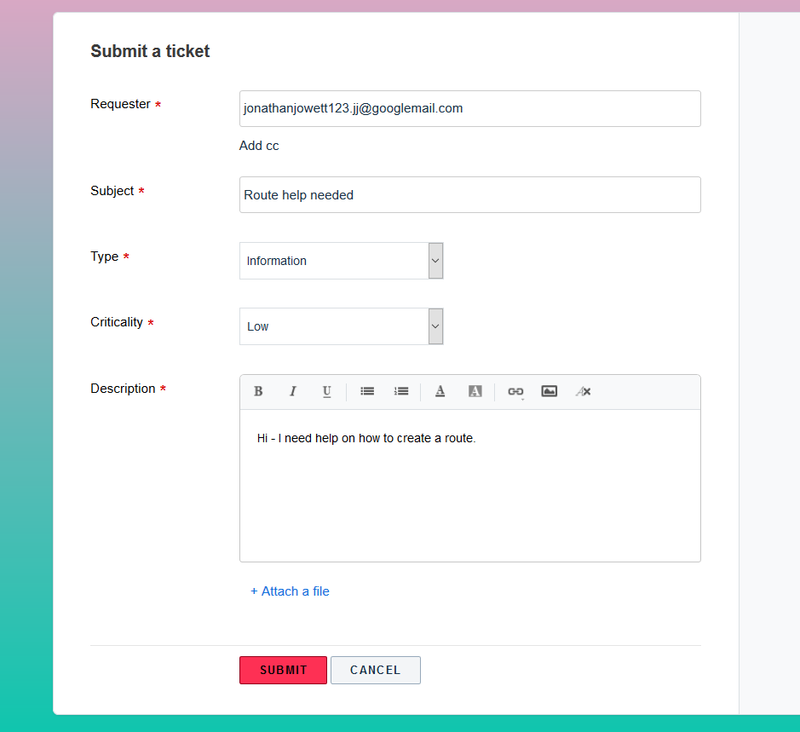 We can do this for Topics and Tickets as well. 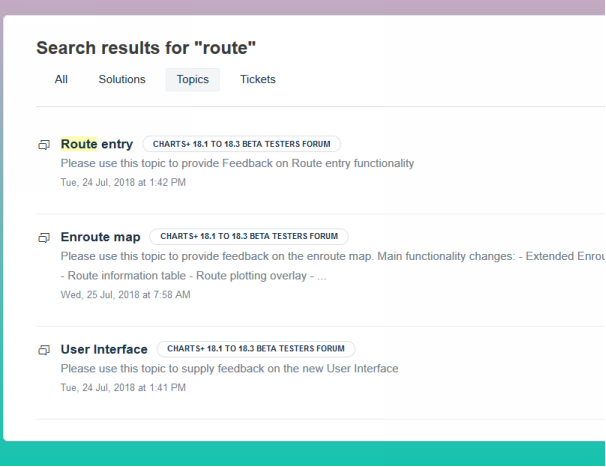 Another way of filtering the results is to navigate into either "Solutions", "Forums" or "Tickets" BEFORE performing the search. 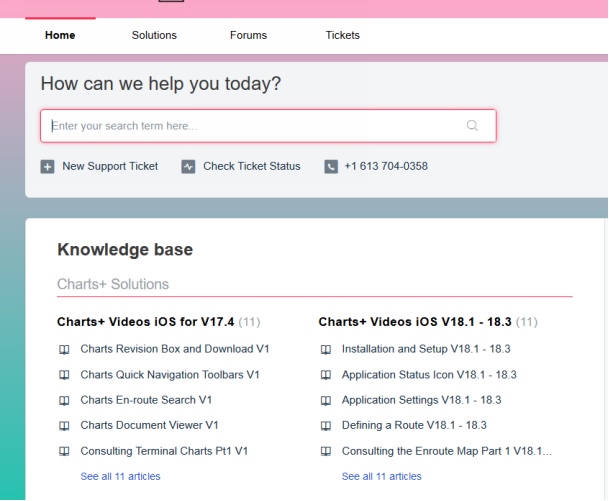 We are now in the Solutions area of the support portal. Running a search here will only therefore search the solutions available. You can tell from the icon that only solutions have been shown in the search results. Let's now search the Forums category. 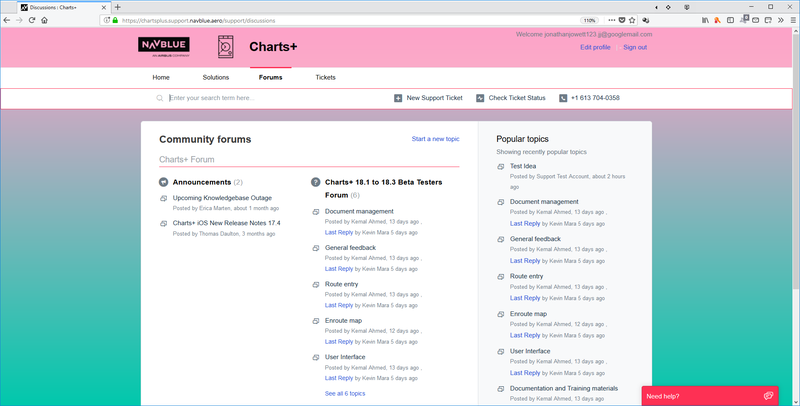 Only results from the forums are now shown. 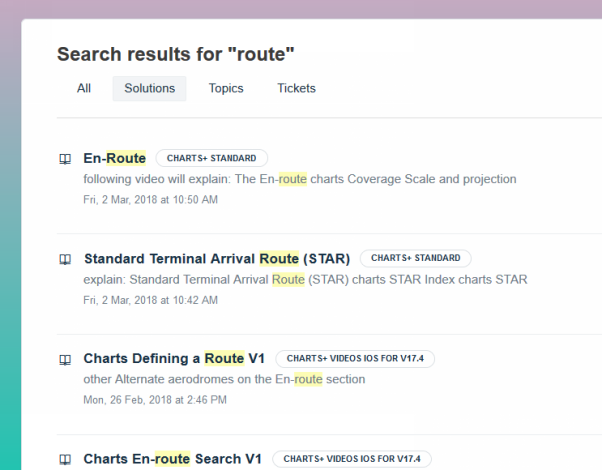 We don't have any open or pendng tickets, but let's perform a search anyway. 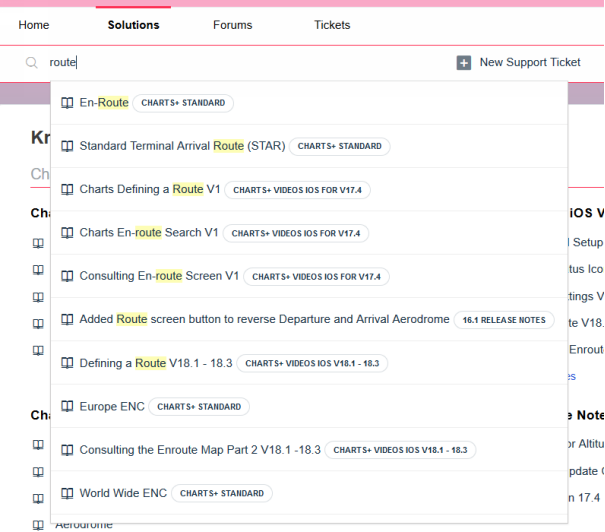 At this point, we raised a new support ticket with the word "route" included in the ticket. 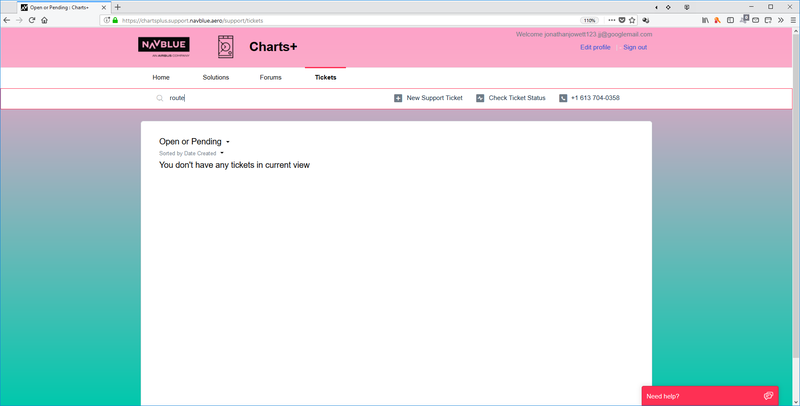 When new tickets are added, the text within the ticket does not immediately become searchable. This can take two to three minutes on average. 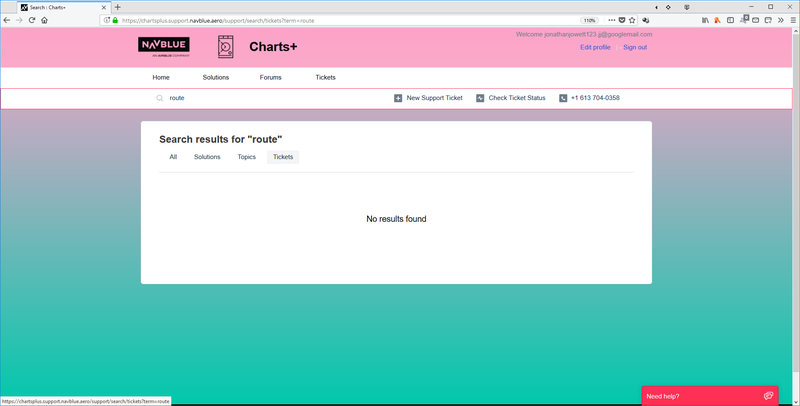 When tickets are shown in the search results they have an icon like this . 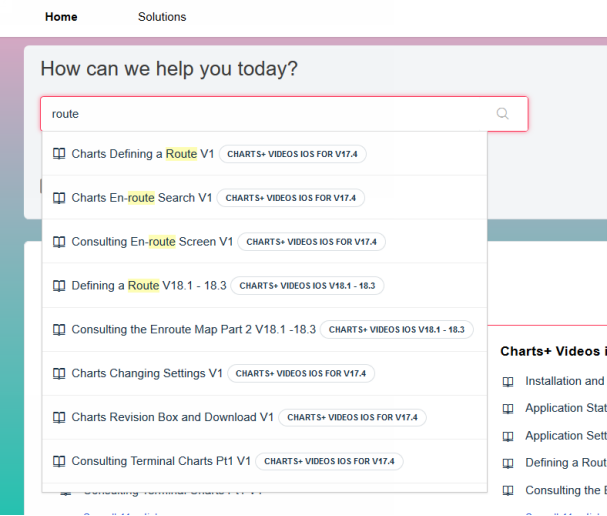 Click the Route help needed hyperlink. 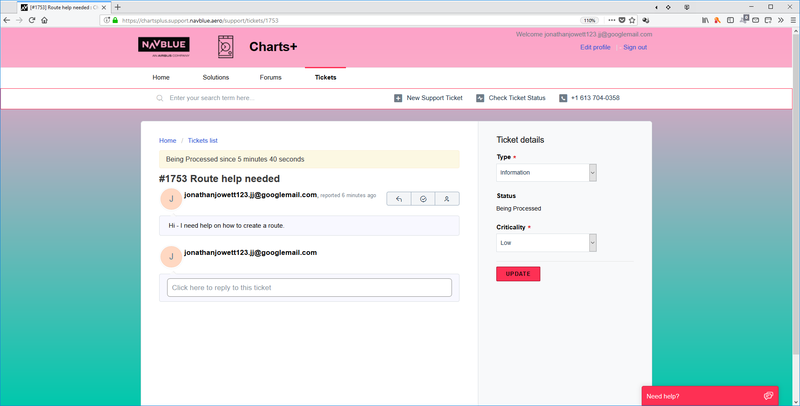 The ticket is now shown and can be used as normal.